According to the Commonwealth Conversation‘s Transportation page, the Massachusetts Bay Transportation Administration’s (MBTA) new cars on the Blue Line at Maverick saw increased ridership this August, compared to last year. Transportation officials report a more than 1 percent increase, meaning there was an average of close to 1.3 million passenger trips taken every weekday. We’ve seen year-to-year increases in 18 out of the last 19 months. Our Boston MBTA accident lawyers understand that the Blue Line wasn’t the only system to see an increase during this time period. 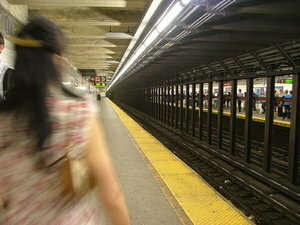 Ridership on the subway also increased, by more than 2.5 percent. The Trolley-Green Line also saw a weekday average ridership increase by about 1.5 percent. The Commuter Rail was up by close to 1.5 percent as well. Bus ridership dropped by more than .5 percent. With ridership increases, residents and visitors are warned. With more congestion, we face higher risks for accidents. Be calm and be safe out there to help to reduce these risks. Keep safety as a number one priority. “The robust demand for public transit is a clear sign that we need to maintain a strong transportation system in the Commonwealth,” said Richard A. Davey, MassDOT Secretary & CEO. Officials with the MBTA are ready to take it to the next level, too! Recently officials kicked off a number of statewide public hearings to help to bring residents, community leaders and business owners on board with a plan for the advancement of the transportation system through the Commonwealth area. Back in August, legislation was passed that required the Massachusetts Department of Transportation (MassDOT) to hold a minimum of six public meetings before deciding whether to create a long-term financing plan for the Massachusetts’ transportation system. To help to make sure that everyone in the Commonwealth area is represented, officials with MassDOT have decided to hold 15 different meetings. At these meetings, reps for each of MassDOT’s divisions (MBTA/Rail and Transit, Aeronautics, Highway, RMV) will be on site to answer question and provide any additional information to attendees. Before, agencies worked alone to finalize these decisions. Now, under the Act Modernizing the Transportation Systems of the Commonwealth, agencies are working with one another to find new and better ways to get residents and visitors from point A to point B. In addition, MassDOT has implemented more than 90% of the recommendations issued in 2007 by the Transportation Finance Commission. With ridership increasing and construction taking place, our risks for an accident increase significantly. It’s important to keep safety as a number one priority while riding any of the MBTA’s forms of transportation. Keep an eye on your surroundings and remember to be a courteous travelers. Awareness can be your best defense against a serious accident or injury on the MBTA. If you or someone you love has been injured or killed in an accident, contact Injury Attorney Jeffrey S. Glassman for a free and confidential consultation to discuss your rights today. Call us at 877-617-5333.